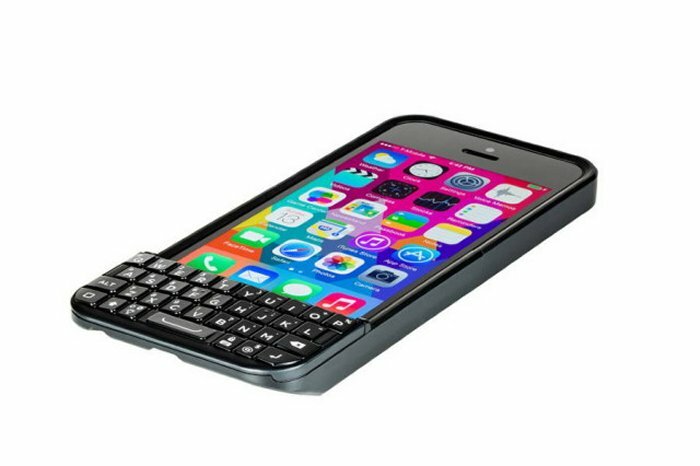 You might remember the Typo keyboard accessory for the iPhone. It is basically a keyboard attachment for the iPhone that allows iPhone users to type using physical keys instead of an onscreen keyboard. The first version of the Typo looked a lot like BlackBerry’s keyboard design. Of course, BlackBerry didn’t like that at all. They filed a lawsuit, which Typo countered by saying they did not steal the design. Anyway, that is the history and now the company has announced the successor to the Typo. Can you guess what it’s called? Wait for it… The Typo 2. I’m shocked by such an original name as well. And I’m sure everyone will be relieved to see that this device now looks nothing like a BlackBerry keyboard anymore. So they shouldn’t have any problems with BlackBerry over this one. The new design also adds several new features. There’s smart typing, a backlit keyboard, a lock key, and even a battery indicator to let users know when the keyboard is running out of power. The Typo 2 is available right now for pre-order and it is compatible with both the iPhone 5 and iPhone 5s. It will cost you $99 and it should start shipping in mid-September.